These cafe doors have raised panels and come painted. All necessary hardware and installation instructions are included with the doors. Custom made for your door opening between 24" - 42" wide, just enter your door opening above. We do the hard work for you.... we will calculate the correct door sizes allowing clearance for the hardware and between the swinging doors. Sending you a ready to hang set of beautiful doors perfectly sized to fit your opening. No cutting, shimming or demo work required. Select door height from options listed above. The default height is 38" (at the tallest point). 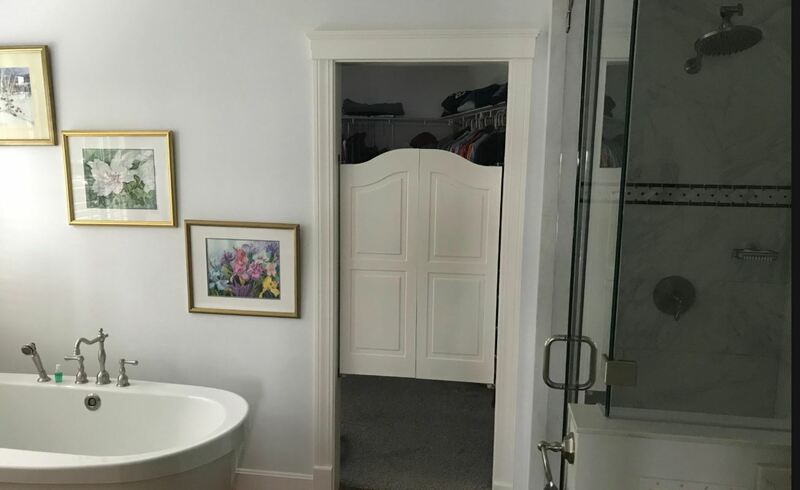 * Doors in picture are 42" tall. 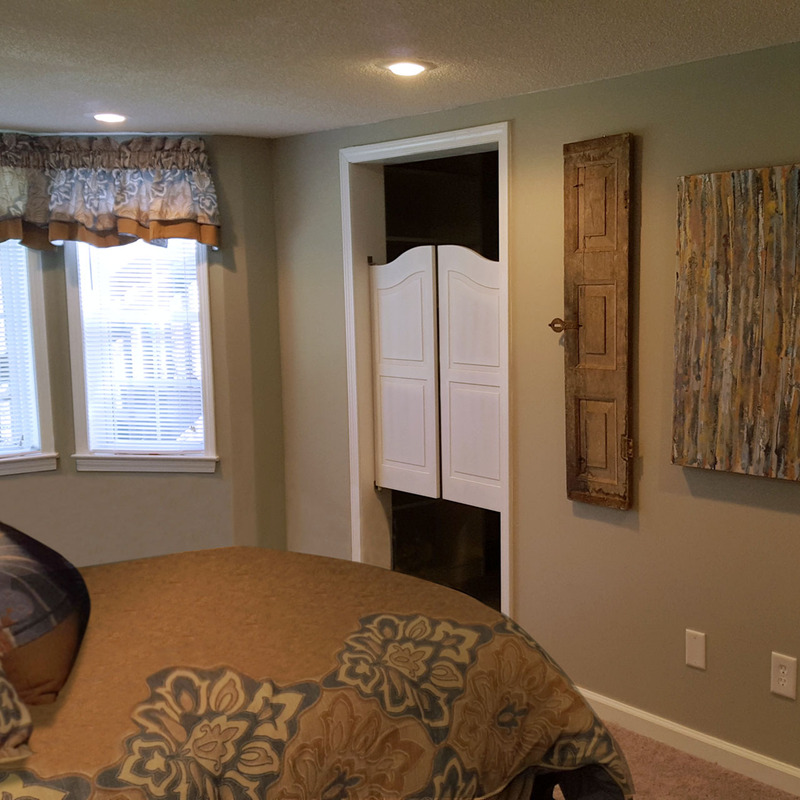 Purchase includes a set of doors as shown in the image. • Professionally Finished Doors- Sprayed lacquer paint finish. Pure White- Sherwin Williams 7005, Snowbound- Sherwin Williams 7004, Creme-Sherwin Williams 7556, Proper Gray-Sherwin Williams 6003, Gauntlet Gray-Sherwin Williams 7019 Tricorn Black- Sherwin Williams 6258 Custom Color - We can match any Sherwin Williams color (An Additional $199.99 for custom colors).